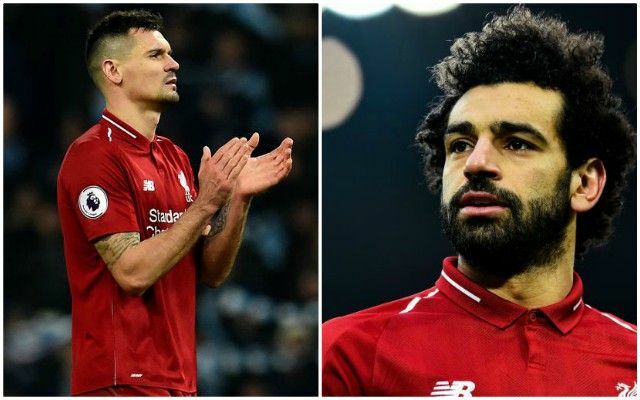 It’s almost as if Dejan Lovren watches Instagram in wait of another opportunity to ridicule or comment on Liverpool teammate and close friend Mohamed Salah. The Croatian was an early respondent on Sunday morning as Salah uploaded an image revealing he had shaven off his beard. Few could blame the defender for his swift reaction, with the new look leaving Liverpool’s top scorer appearing fresh faced and notably younger. Left-back Alberto Moreno was also at hand to offer his take, questioning where the Mo Salah he knew and recognised had gone. Salah was back on the scoresheet on Saturday as he helped Liverpool restore their three point lead at the top of the Premier League with a 3-0 win over Bournemouth. In doing so, the no.11 became the first Red since Luis Suarez to reach 20 goals across all competitions in successive seasons. He currently boasts a tally of 64 goals in 86 appearances for Liverpool and is now just one shy of 50 career goals in England’s top flight.